Camouflage Exoskeleton Carrying Case. 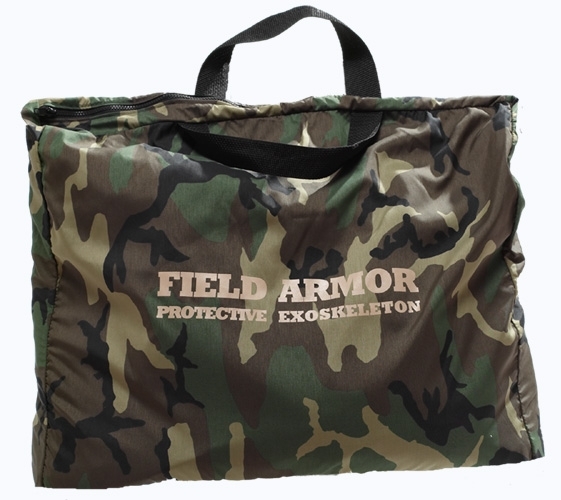 Ideal for storing your exoskeleton and paintball supplies. Three pockets with 5 total compartments. Will fit your exoskeleton plus air, ammo, accessories and change of clothes. One size.